If you’ve been mulling over the possibility of getting on board with new electric car technology, then you may want to consider holding off for the 2018 Nissan LEAF, which is when the next generation model is expected to debut. According to a report from Auto Express earlier in the week suggest that big things are in store for the world’s most popular electric car, including a fierce new face (it’s got a grille now!) and double the driving range. Some have a difficult time getting behind the LEAF because of its somewhat droll look, but if the images obtained by Auto Express are any indication, then looks won’t be an issue with the second generation model. It’s markedly better-looking, incorporating the new Nissan signature package of V-Motion front fascia, floating roof, and boomerang headlights and taillights. The new-look LEAF is also sporting some bold lines and a fancy-looking blacked-out D-pillar that runs up over the rear roof spoiler. 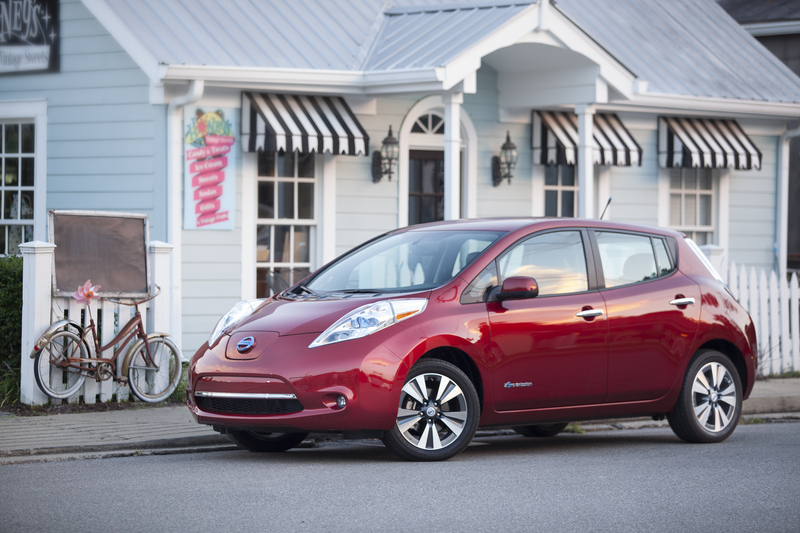 If the design holds as the new look of the LEAF, then it may be an instance where drivers might start getting compliments for their ride before they even mention the whole fuel-free, no-emissions thing. For those less concerned about flowing lines and fake grilles (seriously, the grille doesn’t serve a purpose here, even if it looks super nice), there’s the reveal that the target goal for the next-generation LEAF’s battery is a 186 mile range, which more than doubles the range of the current gen.
It’s expected that Infiniti will release an EV of their own around the same time, meaning that a 2016 global debut would coincide with Andy Palmer’s claim that new Nissan battery tech will hit the market in 2017. It seems like if you aren’t already on the EV bandwagon, you might want to start getting ready to jump.